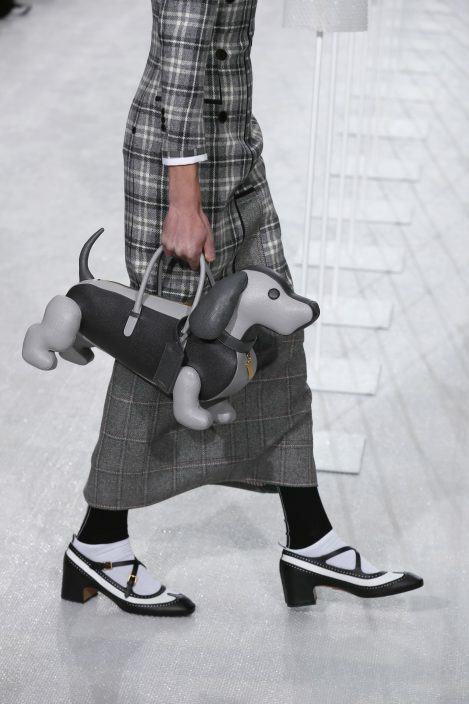 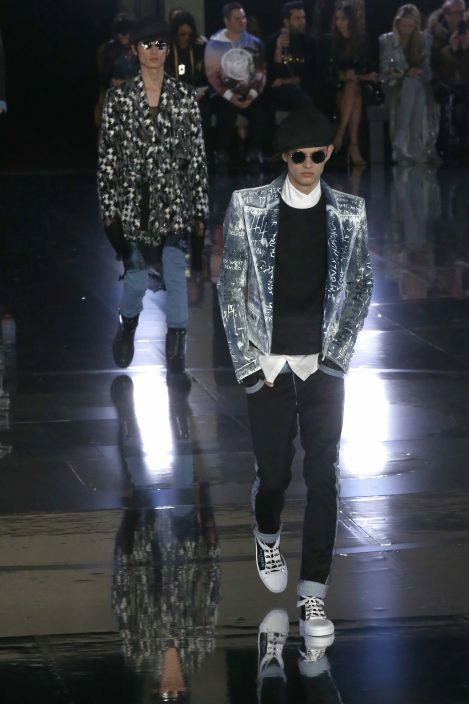 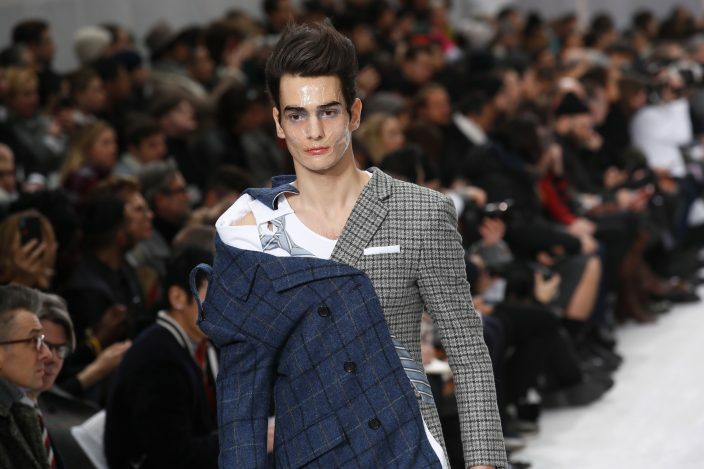 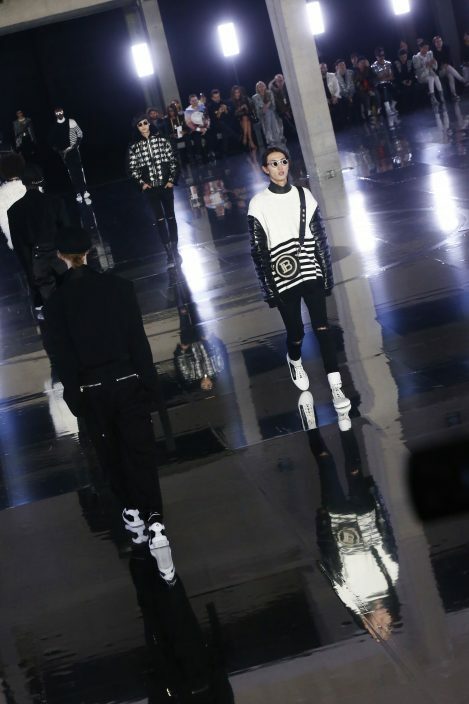 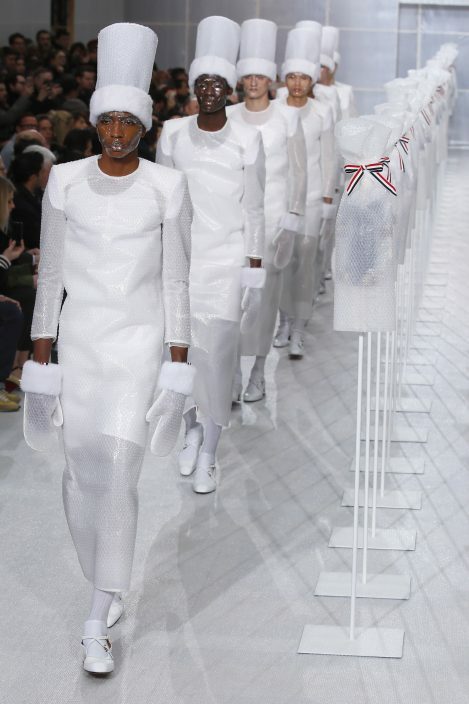 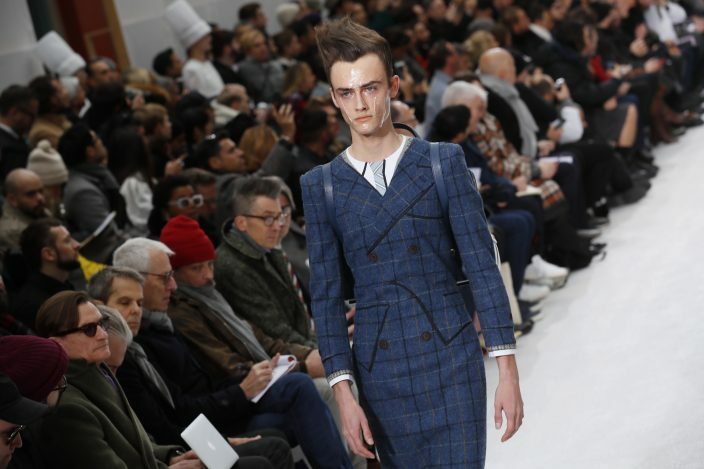 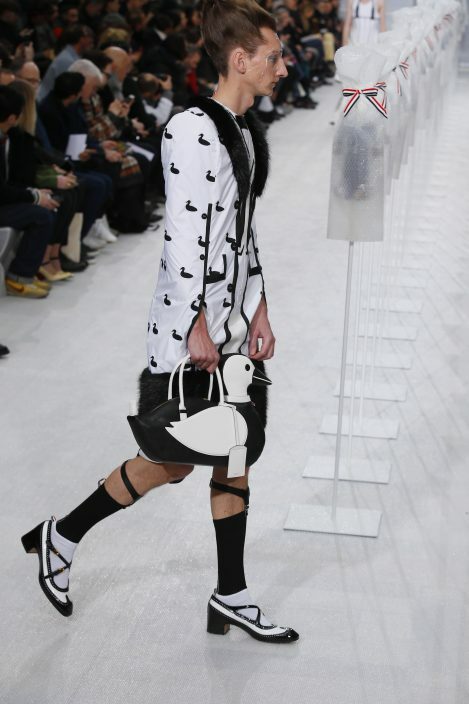 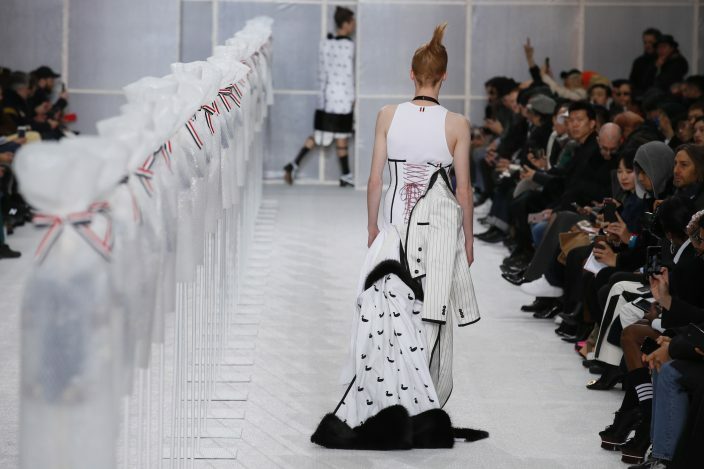 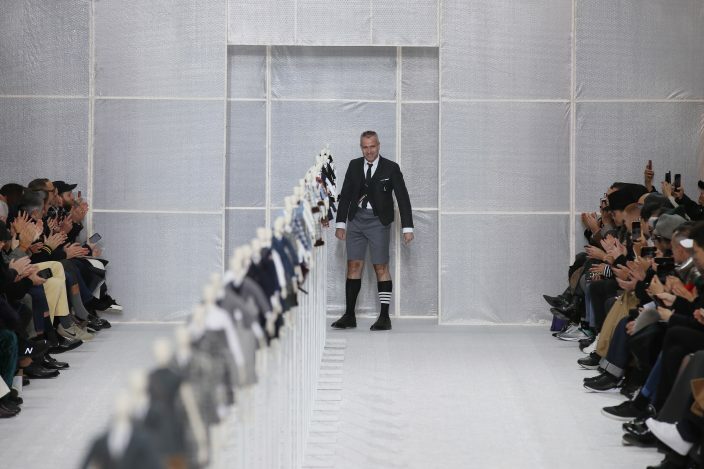 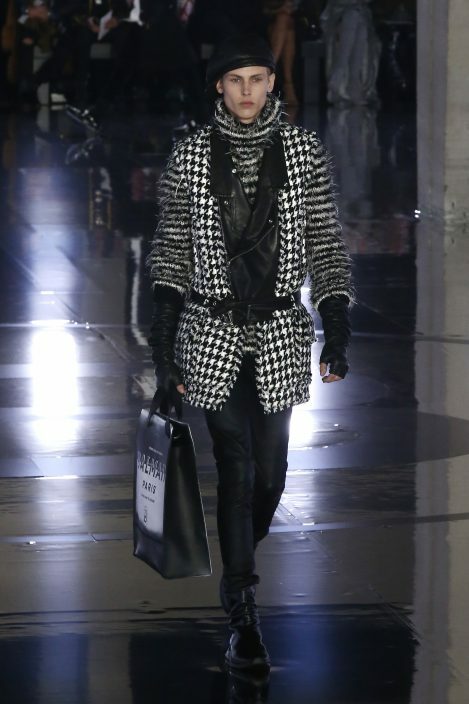 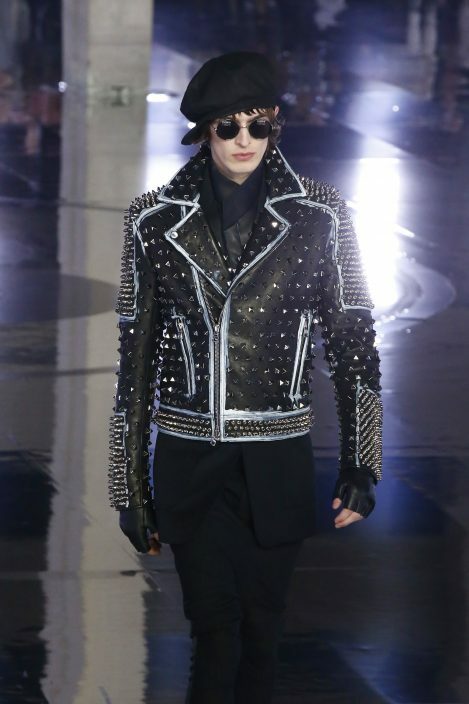 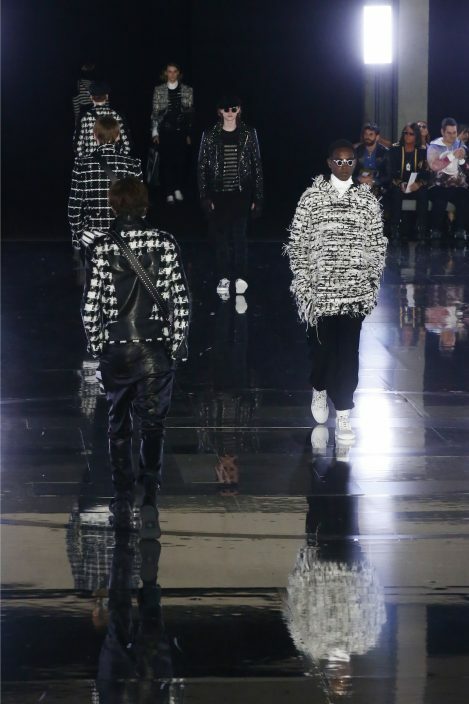 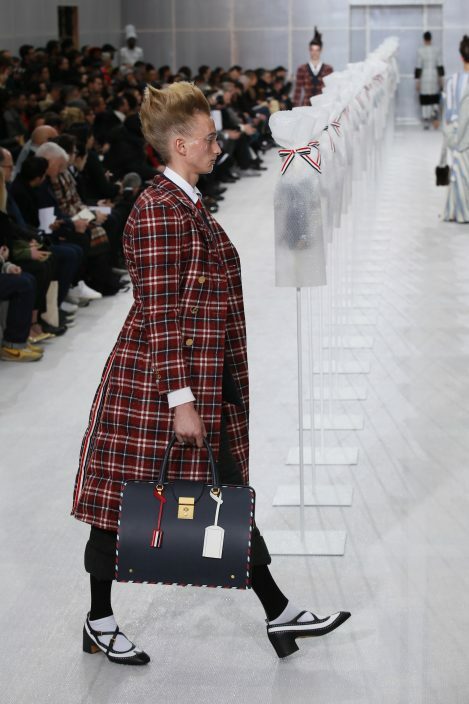 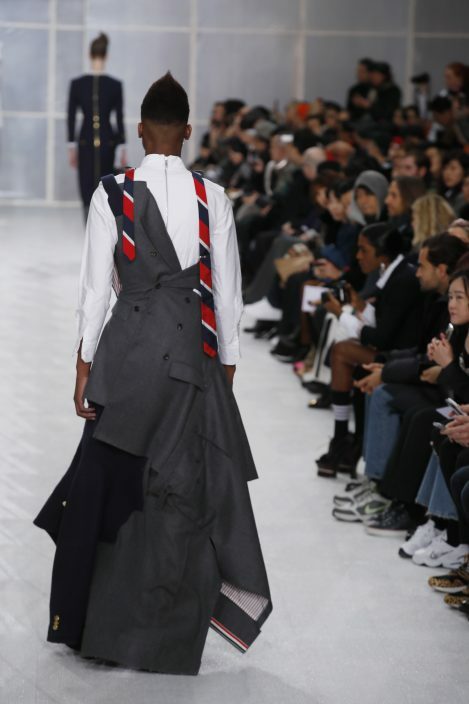 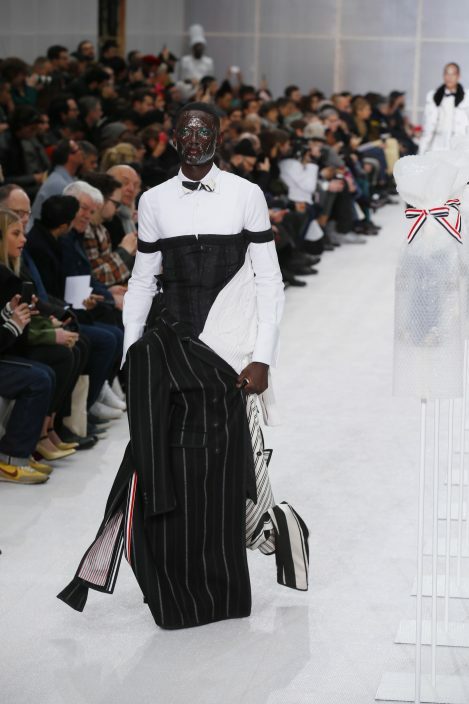 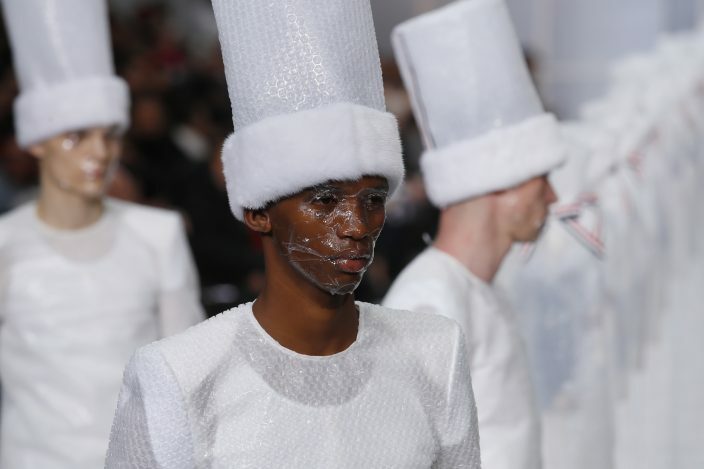 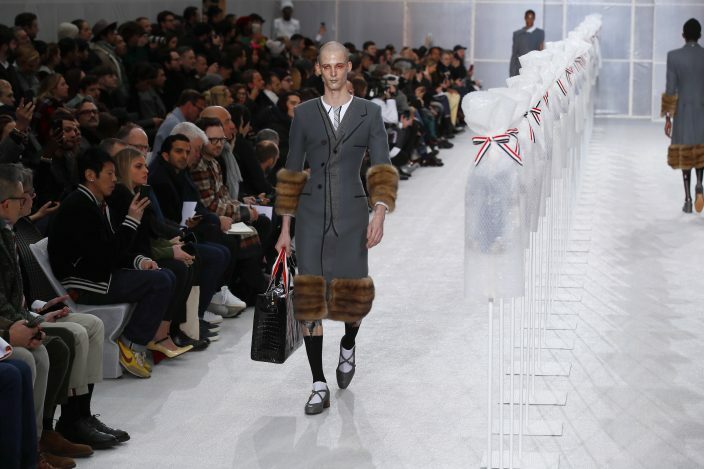 Thom Browne provided the biggest spectacle on a relatively quiet day at Paris Fashion Week as some fashion houses decided to switch presentation dates or showing times to avoid Saturday's yellow vest protesters who took to the streets in the French capital and beyond. 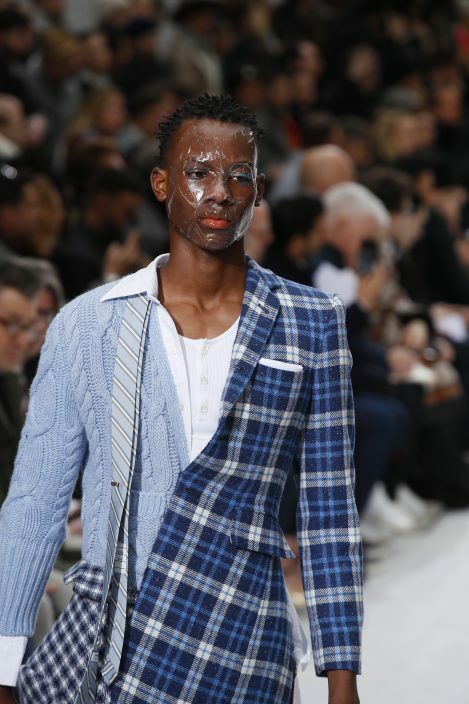 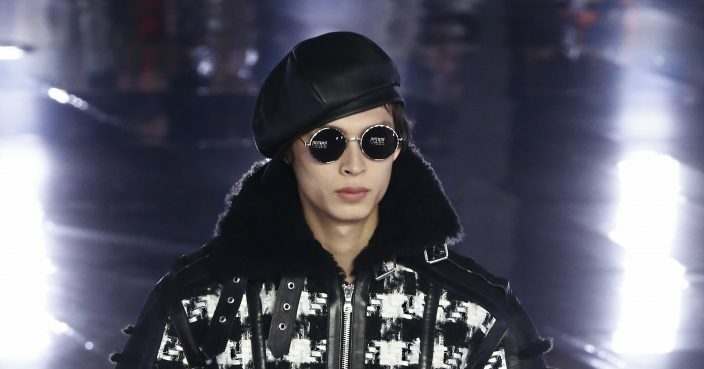 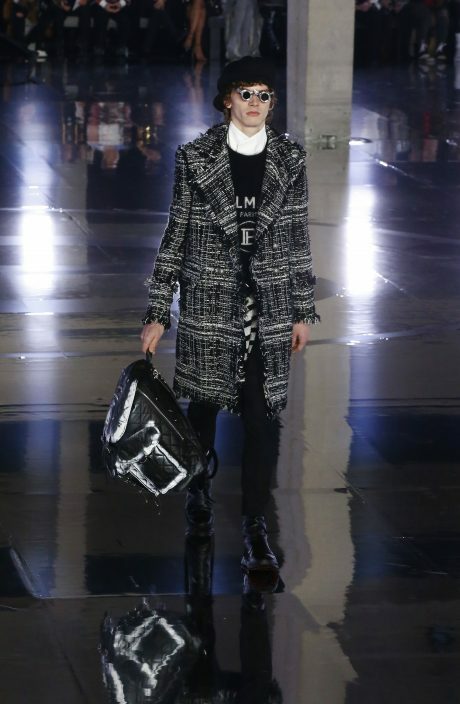 It was the movement's 10th consecutive week of demonstrations but the first Paris Fashion Week date to coincide with them since they began Nov. 17. 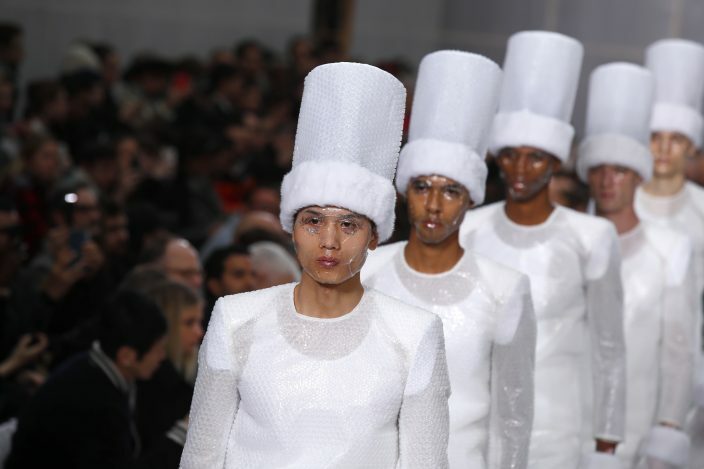 In previous weeks, yellow vest protesters had brought parts of France to a standstill and smashed up luxury Parisian boutiques. 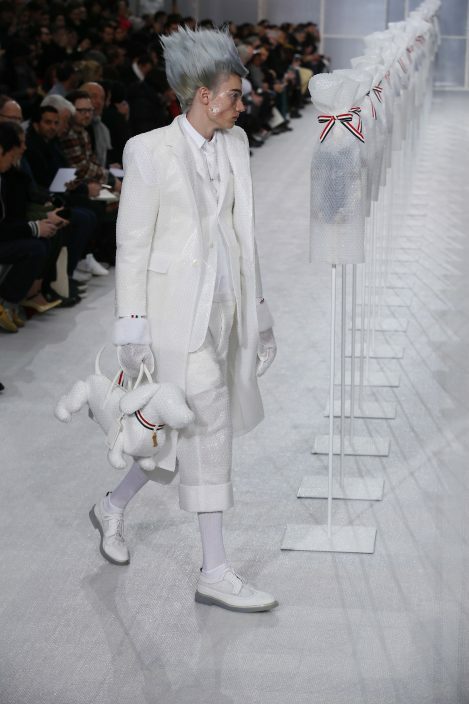 A highly-styled model with a giant white quiff, a sort of bubble version of Edward Scissor Hands, stepped out in an all-white, tight sartorial layered look consisting of a suit and tie, turned up pants and brogues.